Running a restaurant or a bar implies handling different kinds of raw and cooked products as well as alcohol. Consumption of food and drinks has the direct impact on one’s health. Thus, in order to ensure the high quality and safety of served dishes, a restaurant owner needs to obtain a license to operate the restaurant (Inshokuten eigyou kyouka). This guide will help you to learn more about the requirements of the food industry and how to meet them. The set of rules for obtaining a restaurant license for the citizens of Japan is almost the same as for the foreigners, with one major difference. While Japanese citizens can open a restaurant on their own and be the owner, chef, waiter, safety manager, accountant, etc. at the same time, foreigners cannot do so. The reason is visa requirements. Running a business in Japan as a foreigner and being a cook or an accountant in Japan as a foreigner are different types of activities. They are covered by the different visa types. As a foreigner, you can only get one type of visa at a time. However, if you are going to cook at your restaurant, you need a chief license (which is different from a chief visa). as an accountant and get “an engineer, human knowledge and international services visa” for highly skilled foreign professionals, etc. Please note that you cannot get employed as a waiter/waitress or a cleaner, or a dish-washer kitchen stuff, etc. Japan does not issue visas for simple manual types of labor that can be learned or performed by the repetition of simple operations. Thus, many people choose to run a restaurant or a bar as an entrepreneur. But that means that you will have to employ at least one more person (most probably a chef) to be able to establish your business, especially if you do that from outside Japan. You will need to provide insurance for your employees. You can get the labor insurance at labor standard inspection bureau, and the employment insurance at the public employment security office. If you are a private entity, you should also provide a social insurance for your employees. Make sure to take care of this matter within 10 days after you have hired a person to work at your restaurant. It is true that many restaurants businesses have only one address, and that is the address of the restaurant premises itself. However, in the early stages of your business, you might need to get an office as required by the business visa prerequisites. It might also be necessary if you are establishing your business from outside Japan. The reason for such necessity is that it will be hard to separate the cooking/serving premises from your business (office) premises, which is often required by the authorities that come to check your facilities. During the later stages, when your food facilities are ready for the run, you may be able to create a back-office or in some other way put your office in the same place as your restaurant. You can get more details about the requirements on this matter from your local authorities. you sell your restaurant to another person, etc. Also remember that when the restaurant is being passed to a new owner, the previous owner should officially reject his license. The restaurant license is given to a current owner only. And this is not possible if the previous owner still has his or her license. some smaller amounts of alcohol before midnight (12 a.m. / 00:00). when you want to sell takeaway food or a takeaway alcohol. In case you have doubts about which kind of food requires a license and which does not consult the local healthcare center. This will also save the time during the final inspection before the opening (see application procedure chapter for more information on inspections). You have to be specific about the use of your premises. It is very important that hygiene rules are followed, and thus, only authorized personnel (employees of your restaurant) can enter the kitchen. For this reason, most probably you will not be able to run cooking classes in your restaurant’s kitchen regardless of the kitchen size. For the same reason, you cannot run your food business from home, because other family members will be using the same kitchen. So, if you don’t have separate kitchens for business and for domestic use, you will not be allowed to base your cooking production at home. Health center will also advise you on how to organize your restaurant and its facilities in a way that will satisfy hygiene and fire norms. For example, how and where to keep your utensils, how to separate the kitchen from the dining space, what are the correct temperatures for the fridges, etc. The restaurant license covers two major types of the food establishments: restaurants and bars. However, it does not mean that when you obtain your restaurant license you can run with either one or both. As it was mentioned in the chapter above, if you plan to open a bar, you will need to handle additional permits to serve alcohol in large amounts and after midnight. Restaurants are focusing primarily on food: you are serving breakfasts, lunched, dinners, etc. and alcohol is a smaller part of the menu. Bars are putting more weight on alcohol, but are also serving some light foods like chips or snacks. Bars need to observer stricter rules in regards to their location, opening hours, and facilities. While restaurants generally have zero restrictions about the above-mentioned rules. The local authorities can provide more information about these requirements. Duration of license may be anything in between 5 and 8 years. It depends on the type of facilities you are using (and more specifically, their durability) and the type of restaurant you are running. At the public health center responsible for supervision of the locality where you are going to open your restaurant. There are very few requirements to run the restaurant, but they need to be observed very strictly because they are influencing the quality and safety of food and premises. When operating a restaurant or a bar you need to do the following things. Appoint a food sanitation (hygiene) manager. Any person working at the restaurant fulltime regardless of the position can be appointed a sanitation manager, including the owner. If the holder of a current sanitation manager license quits, then a new sanitation manager needs to be appointed immediately. In order for an assigned sanitation manager to get the certification, he or she must complete a sanitation training in the appropriate healthcare center. The training takes only one day and includes a 6 hours lecture about food hygiene (in Japanese) and an exam based on the lecture. The cost of the course and exam is around 10 000 yen. Depending on your location you might need to renew your license every year or every three years. Sometimes foreigners without the residential status in Japan cannot take the hygiene exam. If for some reason you are planning to take an exam in Japan without the resident status, check the local healthcare rules. Appoint a fire prevention manager. Using fire for cooking: get the license before installing the cooking equipment. If you plan to run a bar, offer alcohol in any amounts after midnight or a takeaway alcohol, you need to get a permit for alcohol sale from the police under the Entertainment Business Law. The schedules may vary for different locations and restaurant types, but in general, most of the documents are handled within 10-20 days before the opening. Appoint a food sanitation manager and make sure this person has or will get the necessary qualification by taking the food sanitation course (1-day course) before the final inspection. Obtain required permits to handle raw food, bakery, meat, etc. if applicable to your business. You can serve sashimi without a separate license. Appoint a fire safety manager and make sure this person has or will get the necessary qualification by taking the fire safety and prevention course. (About 7 days before the opening date.) If you use fire for cooking, apply for the permit before you the installation of equipment. Notify police and tax office, if you are planning to run a bar, or sell alcohol after midnight, or offer a takeaway alcohol (about 10 days before the opening date). On-site inspection. Before you open the restaurant a representative of authorities concerned will come to check your premises and licenses to make sure facilities are ready for work. It is good to ask for all the requirements in advance. For example, when going for food sanitation test, or by paying a separate visit to consult the health care center, fire department, etc.Everything should be ready by the inspection day to prevent delays. If the inspector will find some flaws to be corrected, you will not be able to open your restaurant until everything has been fixed and the inspector has confirmed it.Book the inspection date in advance (about 10 days before the desired inspection date). The inspection date should be about 10 days before the opening day. Apply for necessary insurances for your employees (within 10 days after a hire). The price is between 15 000 and 20 000 yen, depending on the business type and the price quote of the local healthcare center. You can obtain the precise information on such fees from your local healthcare center. License for bars and restaurants is relatively easy to get but it requires a lot of preparational work: defining your menu, finding the right location and a premise, appointing managers, taking lectures, equipping the kitchen and guest spaces, etc. You can always find up-to-date information regarding the application fees and procedures as well as guidelines for your particular case from the public health centers in your area. Be sure to obtain your license before the start of operations in order to keep clear of fines and legal consequences for running a business without a license. What laws regulate restaurant business in Japan? Your local health care center will provide you with more information about the norms of organizing your restaurant premises, both for kitchen and dining area. What kinds of food may need licensing to handle them? Here is a list of food industries that require a license. However, if you are using mentioned foods as ingredients in your restaurant or bar, you may go without a license, providing you observe the storage requirements. You can get detailed information from your local health center. What is the age limit for alcohol consumption in Japan? In Japan people are allowed to consume alcohol starting at the age 20. Can I sell alcohol in my restaurant? Yes, you can. If you offer alcohol within your restaurant before midnight, you do not need a separate license. In case you sell alcohol after midnight, notify the police about it. And if you sell alcohol for takeaway, notify the tax office and handle your alcohol selling license. You can find more information about it in the alcohol selling guide. Can I run a sushi restaurant? Yes, you can. 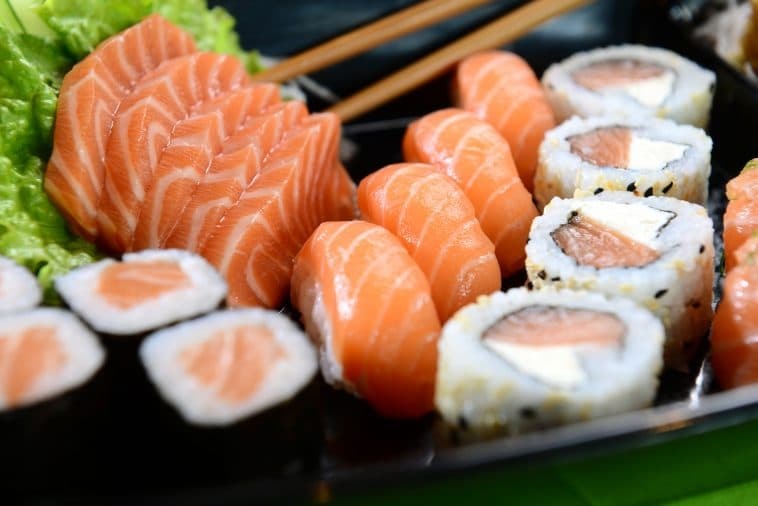 Be sure to apply for a license to handle raw fish and meat. Can I sell food from a food truck? Yes, you can. Still, you will need to make sure that your vehicle meets the requirement for food storage, transportation, and hygiene. Also, if you are preparing food in your vehicle, you can only serve food that went through thermal processing at the final stages. There are also regulations regarding the parking place for your vehicle. Generally, you are not allowed to sell food from the general roads. If you want to park at someone’s property, you need to get a permission from the owner of the property. More information about the food trucks and cars can be obtained from the health care center.